Emaleigh Papierski opens up her backpack, provided by the program Drug Abuse Resistance Education, to reveal the many prizes it includes. Papierski, who recently finished fifth grade at Sunset Elementary School, won the local essay contest for students of DARE, as well as at the state level. She will read her winning essay at a DARE conference in Breckenridge next week. Emaleigh Papierski has yet to face significant pressure to engage in harmful substances, but she already knows what her answer will be if someone asks her to do so. Her response will be a strong “no,” and she’s got that in writing. Papierski recently was named the winner in an essay contest among Craig elementary schools as part of the Drug Abuse Resistance Education program. But this was only the first step in an even bigger honor for the young student, who recently completed fifth grade at Sunset Elementary School. Her essay also was selected as the overall winner for the state, which means she’ll read it as part of the Colorado Association of DARE Officers Training Conference next week in Breckenridge. “I’m nervous, a little bit,” she admitted about the prospect of speaking in front of hundreds of people. But even if that part of the experience seems intimidating, she has confidence in the content, as do those who taught her. DARE instructor Tony Gianinetti, with the Craig Police Department, said this is the first time he’s seen one of the kids from Craig picked as the state winner, an honor he said is well deserved. “She really did a great job,” he said. 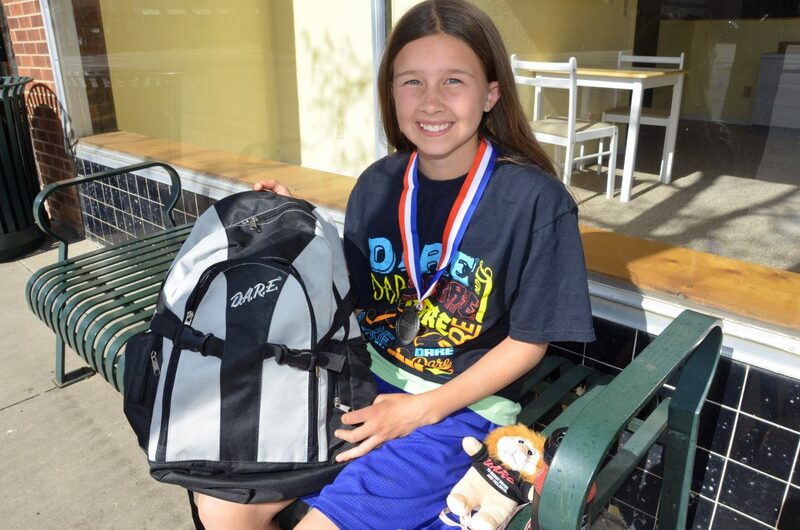 Winning at the local level got Papierski a DARE backpack stuffed with prizes, including a medal, T-shirt, stuffed lion, water bottle and other materials. Writing the essay itself was something she fretted over for many hours, asking her mother and teacher for their advice. Within the written work, Papierski discussed what she had learned from DARE and how it has affected her future decision-making. The details of alcohol abuse stuck with her, though not nearly as much as the visual aids of victims of methamphetamine usage, with photos of haggard, toothless faces that were hard to forget. “I don’t ever want to try meth,” Papierski said. She also wrote about the kinds of alternatives to drug usage, which for her involve a lot of physical activity, including running, basketball and taking care of and riding her horse, Paris. Contact Andy Bockelman at 970-875-1793 or abockelman@CraigDailyPress.com or follow him on Twitter @CDP_Education.